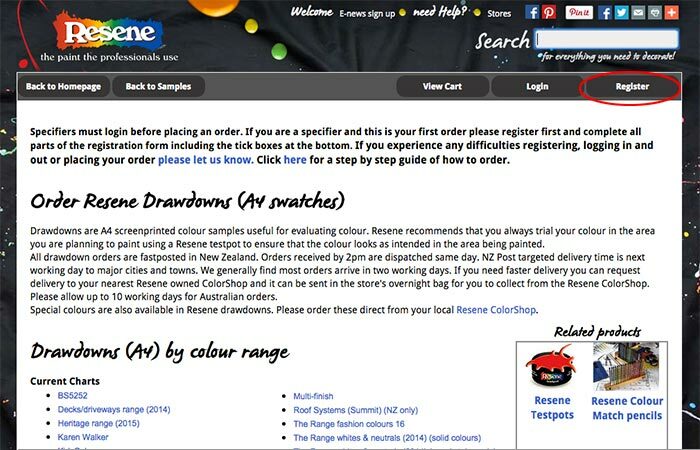 I am an approved Resene Professional / Specifier. 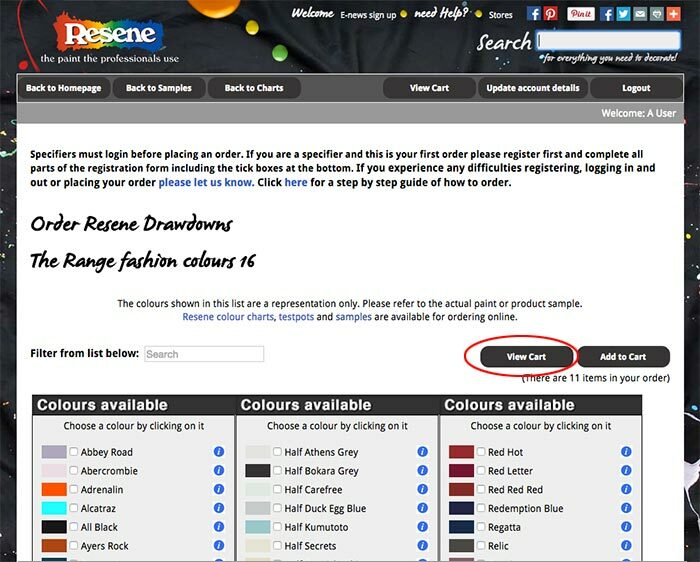 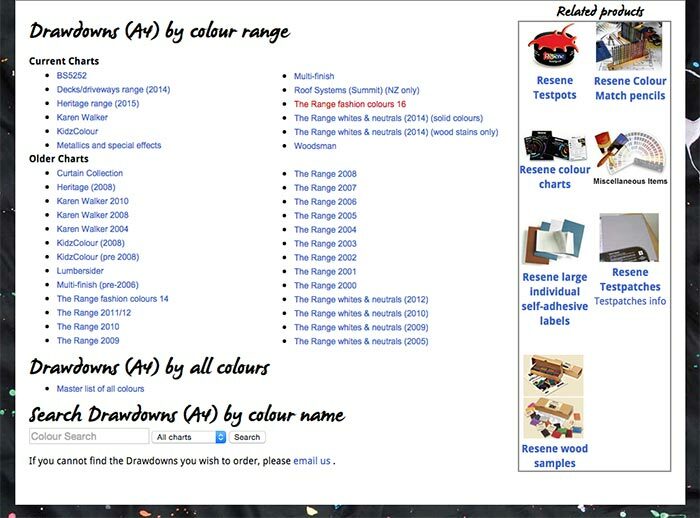 Step 6: Once on the drawdown page select which chart you want to order colours off, search all colours or search by a colour name. 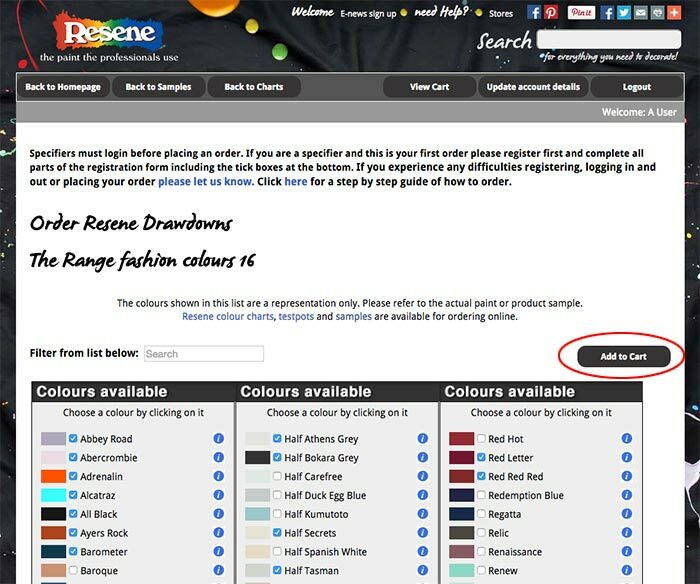 Step 7: Select your colours by clicking on the name. 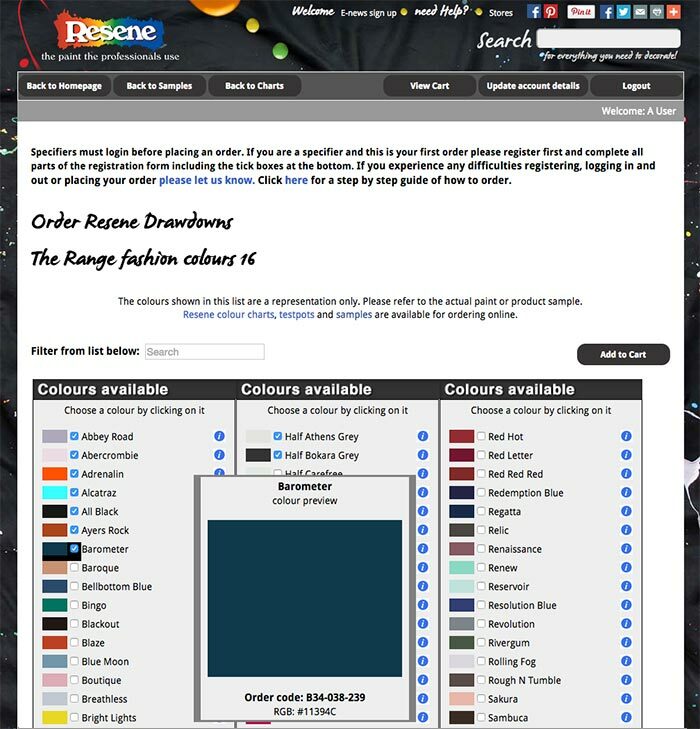 The 'i' information icon links to the Colour Swatch Library. 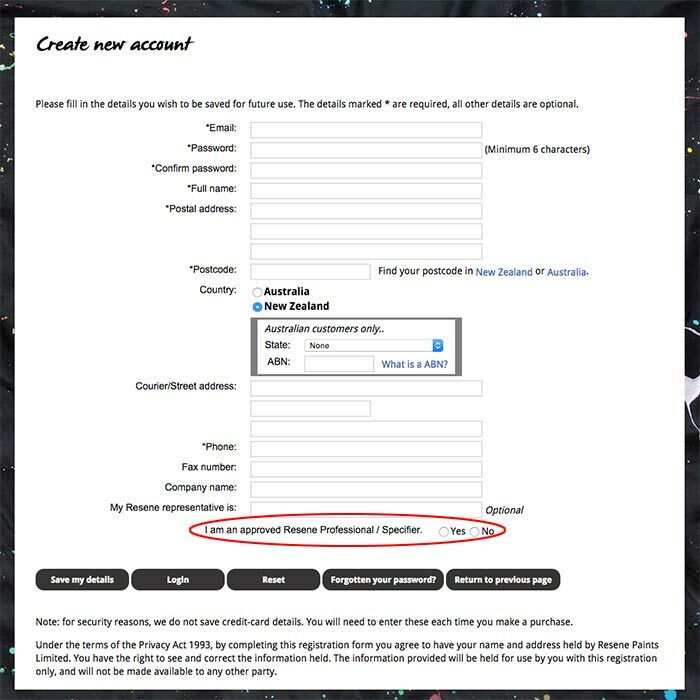 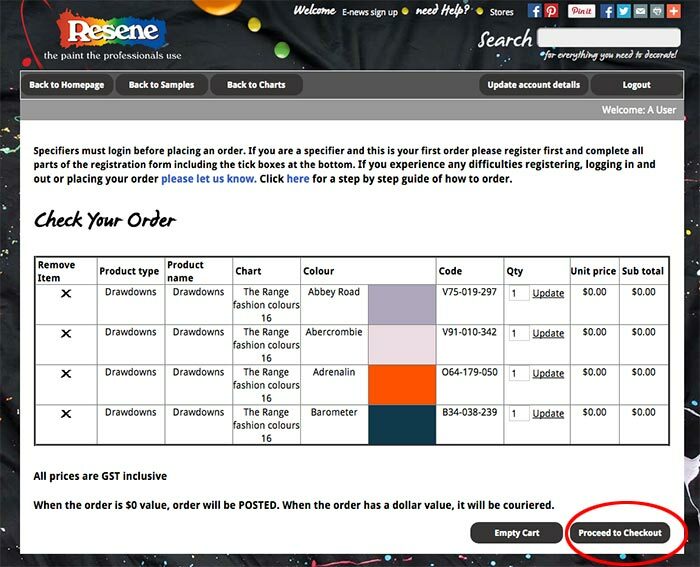 Step 8: Select 'Add to cart'. 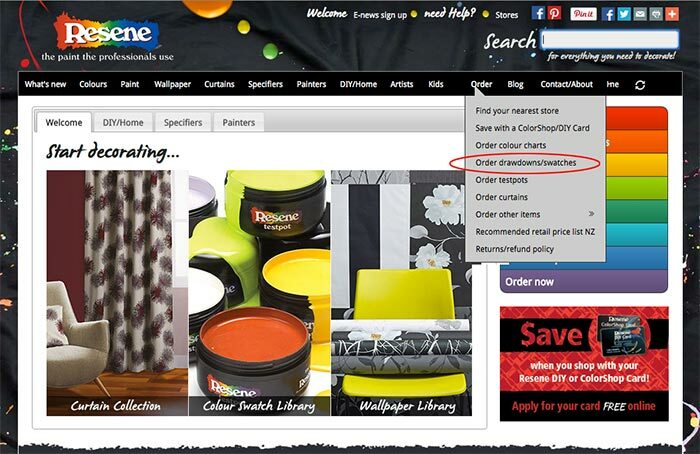 Step 9: Select 'View cart'. 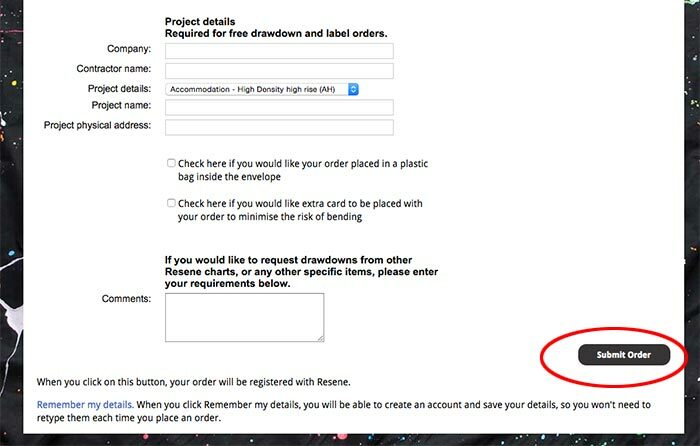 Step 10: If you need to change your quantities, do so at this step by changing the quantity and select 'Update'. 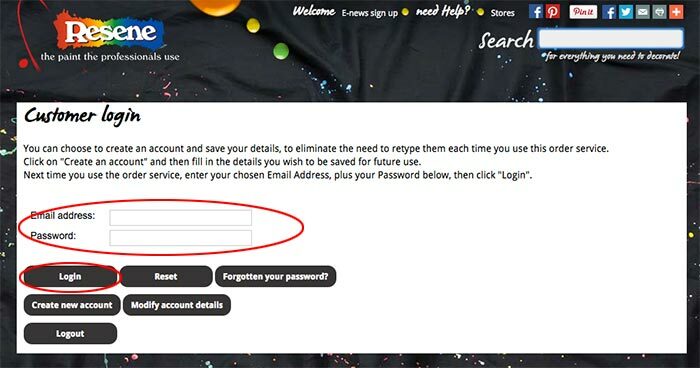 Or remove unwanted Drawdowns by clicking the X in the 'Remove item' column. Select the 'Back to charts' if you want to order from another chart, or select 'Back to samples' if you want to order another type of sample or product. Step 12: Now fill out the project details. 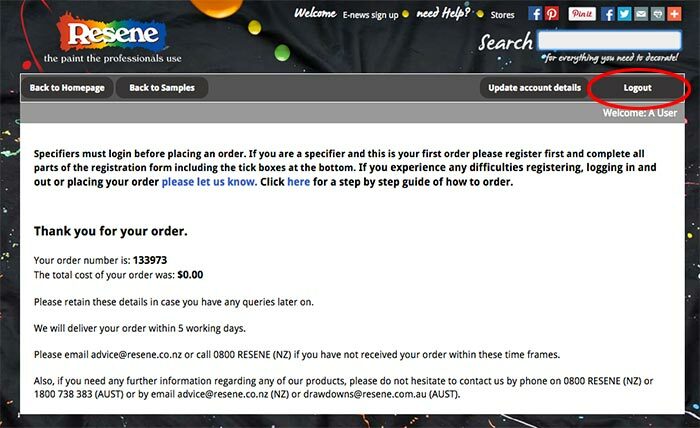 Step 13: Select 'Submit Order'.